Today, actually, the first Saturday in August, is National Mustard Day! It’s too bad I don’t live in Middleton, WI otherwise I could visit the Mustard Museum to pay tribute to America’s 7th most popular condiment (Source: shareranks.org) as well as the 20th anniversary of this holiday. I really thought mustard would fall at least in the top 5, but alas, no. The name “mustard” comes from the Latin “mustum ardens,” meaning “burning wine” because of the spicy heat of crushed mustard seeds combined with unfermented wine grape juice. Hippocrates suggested to use this wonderful seed for muscle and toothaches, as well as to increase appetite, digestion, blood circulation, and to clear sinuses. 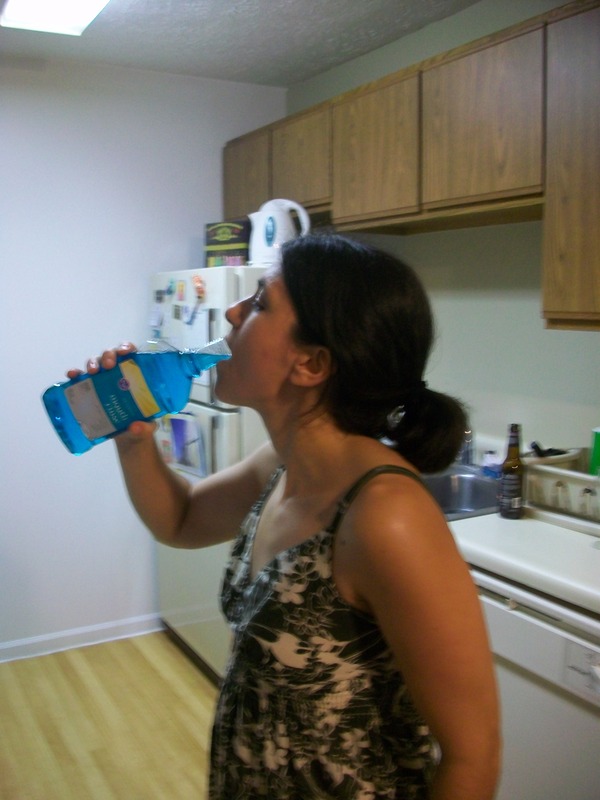 After that, I really needed to celebrate Fresh Breath Day, so I chased it with some Kroger brand mouthwash. That’s all from me today, folks. Remember, celebrate National Mustard Day and Fresh Breath Day early and often! ← Happy Fresh Breath Day! I was going to try and celebrate this, but I just really don’t like mustard. Oh damn, and tonight I *didn’t* put mustard on my sandwich like I usually do. Well, you were still acknowledging mustard, so I say it counts!